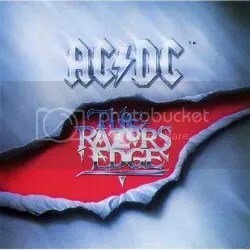 Even though The Razor’s Edge was a commercial success and critical success (for the most part), I STILL say it is one of AC/DC’s most underrated albums. People like it but they don’t like it enough as far as I’m concerned! 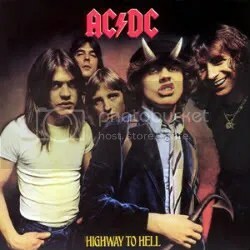 It’s a near perfect album and for years it was my favorite AC/DC album until I recently re-listened to Highway to Hell. This album is “ate up” (as they might say in the south) with anthems. “Thunderstruck”, “Fire Your Guns”, “Moneytalks”, “Are You Ready”… So catchy, such great choruses you’d think Mutt Lange was back working with his old buddies and in the producer’s chair! Not that Bruce Fairbairn is any slouch. He’s had his share of producer’s credit for really catchy rock as well (Aerosmith, Bon Jovi, Poison). Anyway, these songs are just classic AC/DC that ranks up with any they’ve ever done, in my opinion. The lyrics are as fun and naughty as ever. A special nod goes out to “Mistress for Christmas”, one of the best song titles ever and it really appealed to me as horny teenager. By far, the best song of the bunch is “The Razor’s Edge”. If anyone wanted to try to argue that AC/DC is evil, they should cite this song as an example. It just sounds so evil and dark, I love it. When I first bought this album, I got it on cassette. After the AC/DC remasters came out in 2003, I was tempted to buy it but I never pulled the trigger. I finally used a Best Buy gift card I had leftover from Christmas ’09 to give me a reason to finally pick this one up on CD. Forget about Back In Black, THIS is AC/DC’s greatest album! I owned this one on cassette years ago. I had a CD player but I also still had a tape player and being a high school kid with no job, I went for the cheaper format picking it up for $6 or $7. I don’t have a tape player anymore but I was so familiar with this album that it took me over 10 years to finally upgrade to CD and I only did that after finding a copy for $5 at a used record store. It’s always hard to re-purchase an album when there’s so many albums out there that I’ve never heard and want to buy! Anyway, yes, I believe this is AC/DC’s best. That other AC/DC album is great but I’ve always felt it was incredibly overrated and have never understood why Highway to Hell isn’t at least put on the same level with it. Everything I’ve heard from AC/DC previous to album was more of an oddity. They had some great songs and albums but they were also kind of quirky. With the help of producer Mutt Lange, they streamlined, became heavier, the Brothers Young became riff masters and Bon Scott’s final album performance turns out to be his best. “Touch Too Much” is one of my favorite AC/DC tracks of all time and it’s hard not to get fired up over “If You Want Blood (You’ve Got It)”. “Highway to Hell” is a song I was never hugely into. It’s good but isn’t even close to being the best song on this album. I always thought “Beating Around the Bush” was a funny song title. On a down note, the band and the song “Night Prowler” came under fire in 1985 when the L.A. serial killer known as the Night Stalker (Richard Ramirez) was caught and it was revealed he was a huge AC/DC fan and “Night Prowler” was one of his favorite songs. I know the 2003 remastering is available at Walmart for $7 or $8, but besides having a digipak, I don’t really see what the difference would be from this 1994 remastering. I saved a few bucks at a used record store and picked this one up for $5! I’ve had my eyes on this album for years. I’ve always thought the cover was very interesting as well as song titles like “Inject the Venom”, “Evil Walks” and “Night of the Long Knives”. 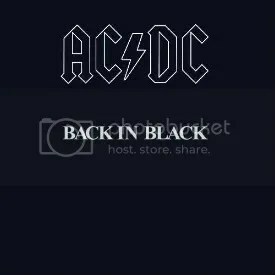 Though I burned myself out on AC/DC years ago, since the release of Black Ice I’m slowly coming around again and I’m interested in picking up their post-Back In Black offerings. Though I didn’t plan it this way, what better place to start than with this album, the follow up to Back In Black? Though Back In Black will always and forever be viewed as AC/DC’s masterpiece, For Those About to Rock is more than up to the challenge of following that legendary release. This isn’t an album that stands in the shadow of the previous release, this is an album that casts its own shadow, in my opinion. I find it really funny not many critics at the time of this release agreed though. There are a few entertaining reviews floating around online (like the one from Rolling Stone) where this album is trashed as an uninspired effort. I just don’t see it that way at all! It’s really hard for me to compare this album to Back In Black just because that album has lost all impact for me, but certainly the concert staple title track can compete with anything from that album. The rest doesn’t reach out and grab immediately, there’s a slower groove throughout the album, but it’s all still very satisfying. “I Put the Finger on You” is another one of my favorites from this album. Mutt Lange was back in the producer’s chair for this album (his last with the band) and it is not hard to imagine “I Put the Finger on You” or “Spellbound” as Def Leppard songs, with a few tweaks here and there. 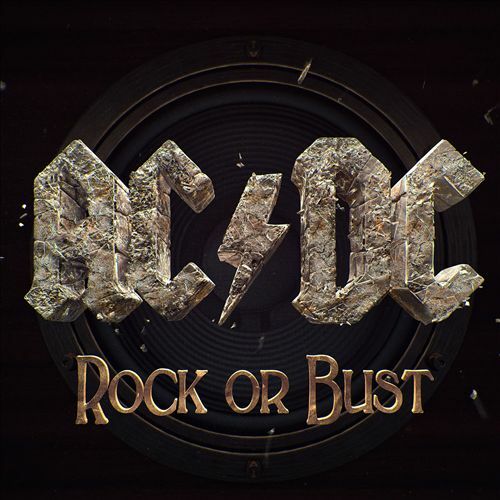 Essential AC/DC and I’m glad I have some new (to me) AC/DC music to listen to! In keeping with my initial intent to catalog and comment on all of my albums and not necessarily review, this one’s going to be short and sweet because there’s not really much to say about this album that hasn’t been said a millions times by millions of other people. I do think it’s a tad overrated, but it is still a classic and should be in every rocker’s collection. I mean, it has sold over 22 million copies in the United States alone and a whopping worldwide total of 49 million. If you don’t own this already, don’t you think it’s time you do? This was one of a handful of albums I listened to extensively the last year or two of high school. I was just discovering the rock & metal scene and AC/DC was one of the first bands I fell in love with and I walked home many times from school playing this one in the ol’ Discman! I was fascinated and tinkled pink by “Given the Dog a Bone” at the time. I originally had an older issue of this on CD for years, but when I was a member of Columbia House Music, they shipped this to me by accident, so I ended up getting to keep it PLUS they took the charge off my account. Pretty cool! 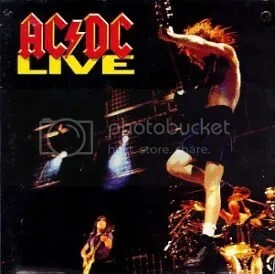 Fantastic live release that holds two distinctions in my collection: it’s the first live album I ever bought and it’s also the first AC/DC album I ever bought (picked it up at Target of all places too!). There’s always going to be a special place in my heart for this album. It’s one of the first big albums in my life. One of the first that I played constantly from beginning to end, with many of those plays coming during lunch period at high school and on the walk home from school. For a time, it catapulted AC/DC towards the top of my favorite bands list. I ended up burning myself out on the band and the album (and the AC/DC albums that this one inspired me to pick up). Despite being way too familiar with the album now, it’s still a classic live release that every AC/DC fan should own, in my opinion. There is a two disc version (featuring 23 tracks) that was released a month after this version was. I had bought the album in the late 90s, but I wasn’t aware of the two disc edition and was pretty ticked off when I found out about it. I would’ve rather held out for that version! The album was recorded during the 1990-1991 The Razor’s Edge tour at various locales. There was a time when I was a HUUUUGE AC/DC fan. They were one of the first bands I got into alongside Poison, Bon Jovi and Guns N’ Roses back when I took a real interest in music in my teens. 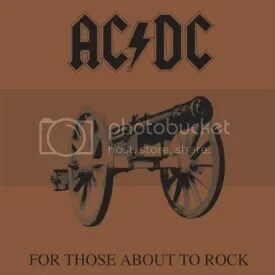 My first AC/DC album was Live, and then I went on a spree ordering up when I could from Columbia House Music & BMG Music, in addition to find what I could around town. This was one I picked up in town and I was initially unsatisfied with what I heard. I guess after hearing Back In Black, Highway to Hell, Dirty Deeds Done Dirt Cheap and The Razor’s Edge I was expecting something amazing. 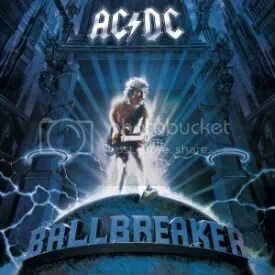 Well, Ballbreaker was quite a downer for me at the time, but I’ve matured enough that I can now appreciate the album for what it is: a decent AC/DC album. It does nothing wrong, but doesn’t really do anything particularly great and this album (and AC/DC burnout in general) is why I decided to skip out on their next release, Stiff Upper Lip. There is one true standout though that conjures up the AC/DC of old: “Hard As A Rock”. And is it me or does “The Furor” seem really similar to “The Razor’s Edge”?